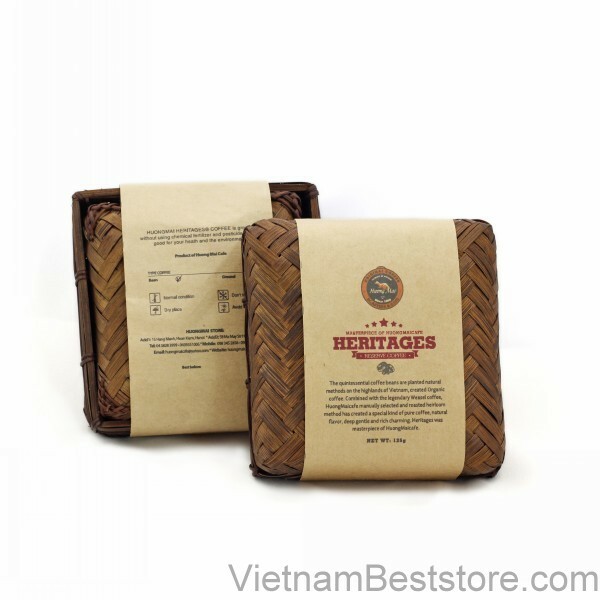 Heritage Coffee Bamboo is selected from the seeds of the finest coffee bean in Vietnam and grown in the highlands method Natural Shadows, called Organic coffee. A great combination between Organic coffee with the reputation Weasel Legend coffee, we have created type of special coffee which nowhere have it. Along with the traditional method of ancient roasting, just keep the rustic taste of organic coffee, still have taste deep gentle and rich charming of Weasel Legend coffee. Heritages coffee was masterpiece of HuongMaicafe. Huong dan su dung thi hien thi o cho nao tren website?